Based on the tale of Dr Jekyll and Mr Hyde, Hyde & Seek is a macabre ghost story with occasional spattering of vaudevillian humour. 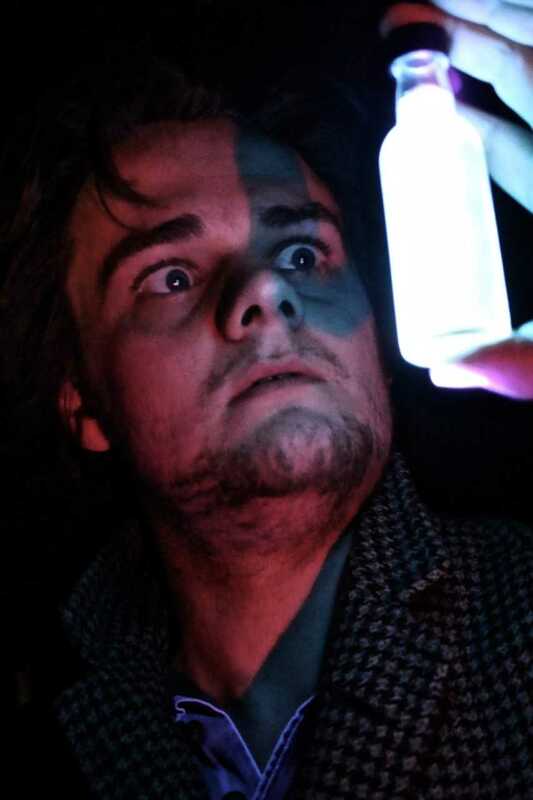 The story expands on the world of the original narrative; and the friendly, yet haunted former stage-door man, Albert, tells a grisly tale of the further misdeeds of Mr Hyde and his ‘acquaintance’ – the tormented genius Dr Jekyll. Using specially designed self-contained lighting effects Hyde and Seek is a chilling and intimate story-telling experience: ghostly figures are glimpsed briefly before vanishing, characters appear out of nowhere, and what you can’t quite see becomes a lot more disconcerting than what you can. Set in a long-abandoned theatre in Victorian London, the show has a theme of vaudeville running through it resulting in darkly comic song, dance, puppetry and even ventriloquism, which interweave with the story. Written by Ben Oldfield (Cube). Created by Michael Tonkin-Jones (Spillikin) and Ciaran Clarke (Near-Ta Theatre). Performed by Michael Tonkin-Jones (Spillikin).